On Saturday, November 3rd, 2018, from 11am-4pm MAGIC will host its 6th Capture the Flag (CTF) competition. MAGIC’s CTF is an ethical hacking cybersecurity competition for entry-level participants at the high school and college level. No prior experience is required, and the event is free for participants. The event will be live streamed from the Lyon Science Annex rooms 120 and 121 to the main arena located at the Community Media Center of Carroll County in Westminster, MD. In addition to the main arena, this event will have multiple host locations competing simultaneously throughout the world. MAGIC provides hands-on technology and entrepreneurial education experiences for entry-level participants to enrich their understanding and interest in technology, as well contribute to tech workforce development. MAGIC's CTF will feature teams of 2-4 students working their way through a series of cybersecurity puzzles set up in a "jeopardy" style format to find hidden flags to earn points. MAGIC is working to close the gap of needed cybersecurity professionals by increasing students' interest in cybersecurity. MAGIC's CTF events focus on cyber workforce development- skill acquisition, skill development, and eventually job placement. 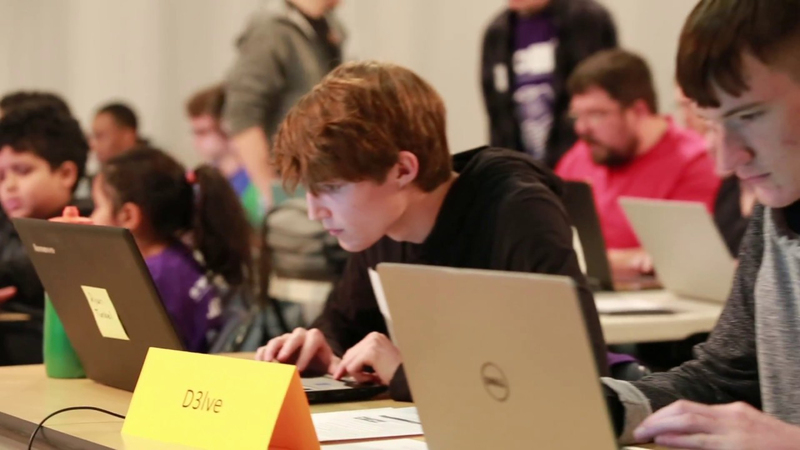 MAGIC has specifically focused its CTF events for entry level participants to bring new and young individuals into the technology and cybersecurity workforce pipeline. MAGIC's CTF will connect communities throughout the world that have an interest in preparing our region's workforce for future careers in technology and cybersecurity. Technology talent and high-speed broadband networks are among the two essential ingredients for innovation and growth. The Research Triangle Park and other participating communities are key points of leverage to attract talent and stimulate economic development. MAGIC's CTF is sponsored by Fayetteville State University. To register for the event, see MAGIC'S website, https://magicinc.org/our-events. MAGIC (the Mid-Atlantic Gigabit Innovation Collaboratory) is a non-profit organization headquartered in Westminster, MD with the mission of leveraging its community's broadband infrastructure to foster economic development. MAGIC's long-term vision is to make its community a hub of tech innovation and entrepreneurship. For additional information about MAGIC, contact Amy Rupp, 443-759-0480, arupp@magicinc.org. Learn more about MAGIC at https://magicinc.org/.